Bid on these AMAZING auction items even if you can't attend! If you would like to bid on any of the auction items described below but are unable to attend the event, please complete this form. We will contact you with more information. Let us know what items interest you. Proceeds will benefit LA Emergency Grant Fund, as well as other Raise the Barr initiatives that assist single parent scholars. Raise the Barr is working with the following nonprofits to award Emergency Grants to single parent undergraduate students in the Los Angeles area: UCLA Students with Dependents program, Jenesse Center for Domestic Violence Intervention and Prevention, Santa Monica College, and Upward Bound House for homeless families. Any amount paid that is greater than the Fair Market Value is eligible for a charitable tax-deduction. If these items are used for client hospitality or other business related expenses, they may be deductible as a marketing expense. Please check with your tax professional. Private, VIP Tour of the Rose Bowl Stadium for up to (15) people - to be used on a mutually-agreeable date in 2018-19. The tour includes access to the field, the historic 1922 locker room mini museum, the broadcast center, the locker rooms, the Court of Champions and more. Donated by The Rose Bowl Legacy Foundation Inspired from America's Stadium. Fair Market Value $350. (1) 8" x 8" Premium Commemorative Rose Bowl Brick to be installed outside of the Rose Bowl Stadium. Inscription is customizable and the winner will get a replica for their home or office. (www.rosebowlbricks.com) Donated by The Rose Bowl Legacy Foundation Inspired from America's Stadium. Fair Market Value $500. Dinner for 12 at a Eureka! restaurant with your choice of a wine, whiskey, or beer pairing. Donated by Eureka Restaurant. Fair Market Value $1,500. VIP "Day at the Races" for six guests at Santa Anita Park. Your day includes Valet Parking, Club House Admission, Racing Program and lunch for you and five guests in the newly reimagined Turf Terrace dining area or at the FrontRunner Restaurant. Additionally, you’ll be able to take a piece of The Great Race Place home with you, as you will receive a $100 gift card to Champions! Gift Shop. You will also receive an all-access VIP tour of our famous Paddock and Winners Circle. Donated by Los Angeles Turf Club. Fair Market Value $600. NFL “My Cleats My Cause” customized game-worn cleats. 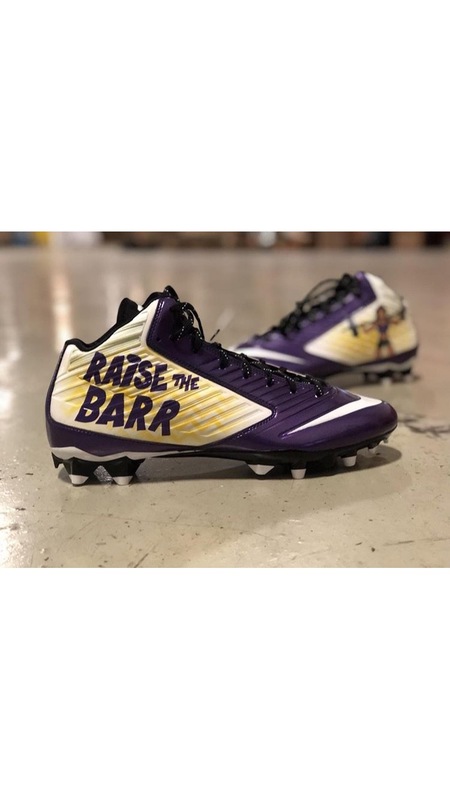 Worn by Anthony Barr during a Vikings game. Only one shoe---not the pair. 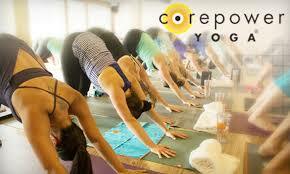 1 year unlimited yoga membership to Core Power Yoga. Donated by Core Power Yoga. Fair Market Value $1,850.